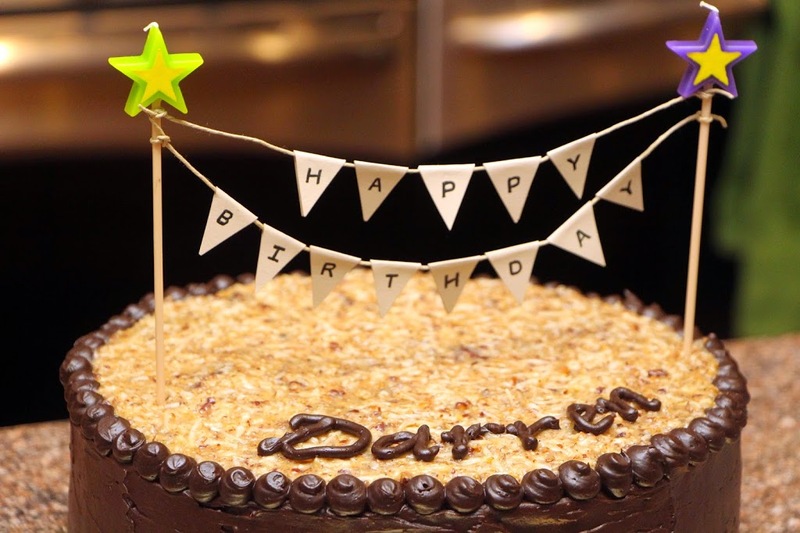 When I asked Darren what type of desserts or flavor preferences he might have for his birthday, he was quick and precise in his answer: German Chocolate Cake. 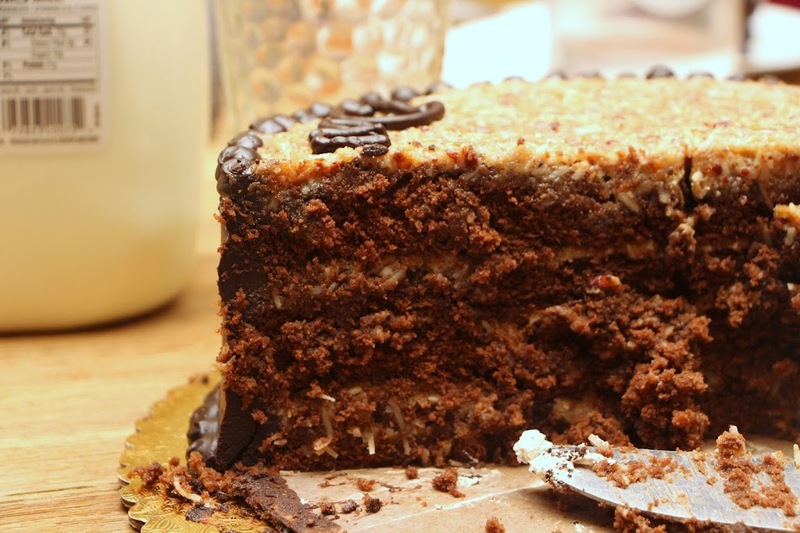 It turns out that his mom would make him a German Chocolate Cake for his birthday when he was growing up and he wanted to continue that tradition for his celebration. I was happy to oblige of course, but talk about pressure to meet or exceed the expectations of childhood longing! For this intimidating task, I turned to Cook’s Illustrated for guidance, and as always, I’m glad I did. 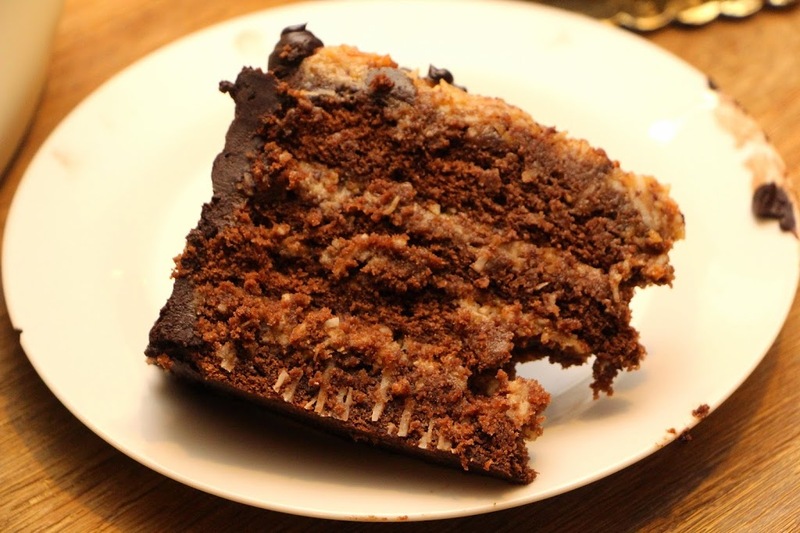 The Cook’s Illustrated German Chocolate Cake uses whole eggs instead of separated eggs, which the kitchen testers found actually improves the cake texture. 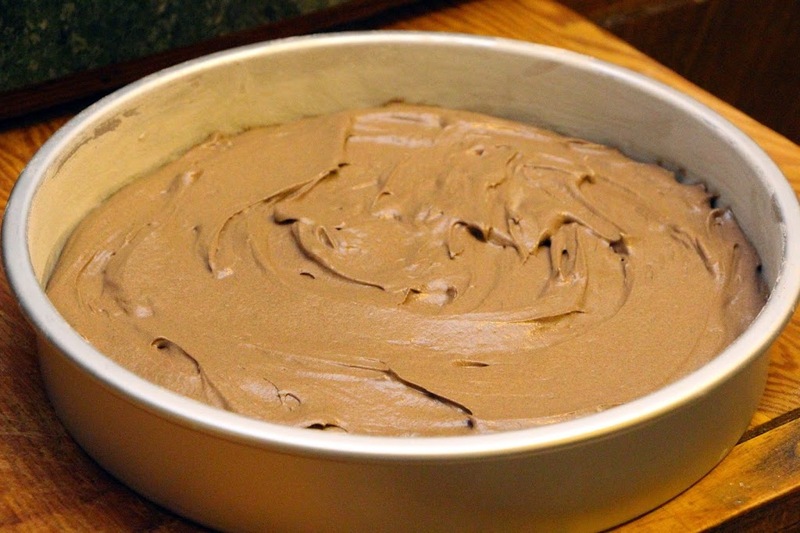 I also think the use of sour cream instead of milk/heavy cream has something to do with this, as the sour cream gives the batter a luscious thickness and structure that helps prevent any cake sinking. 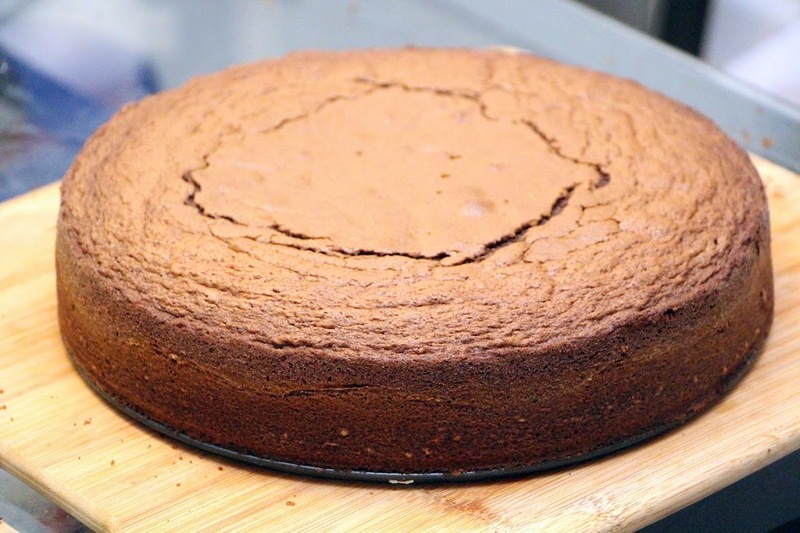 The end result was a cake with a fine crumb and silky melt-in-your-mouth experience, and a very distinctively chocolate taste. I highly recommend this cake! 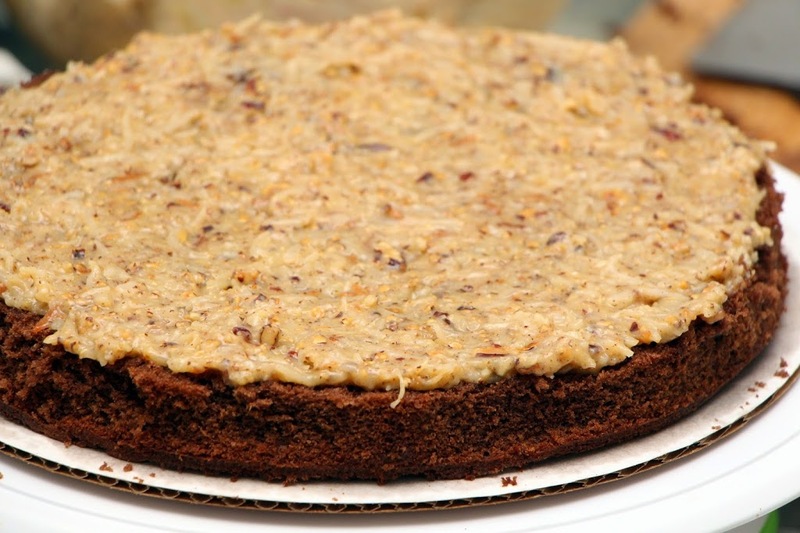 The coconut-pecan filling was great too, but honestly most recipes for the filling should be relatively good. I recommend toasting both the coconut and pecans before mixing for enhanced flavor. 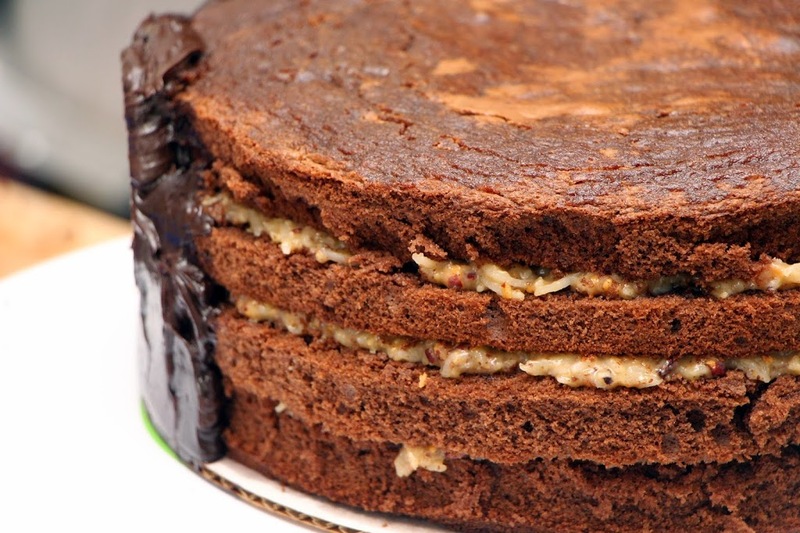 I cut two 10″ cakes in half for 4 cake layers, each brushed with rum simple syrup, and topped with coconut-pecan filling. I then coated the sides of the layered cake with dark chocolate frosting. I originally intended to make small tempered chocolate cut-outs for a geometric decoration, but ran out of time. Hopefully I can execute that vision sometime in the future. Finally, for presentation, I made a “Happy Birthday” using two birthday candles, some cardstock and spray glue (one of my favorite crafting items every). 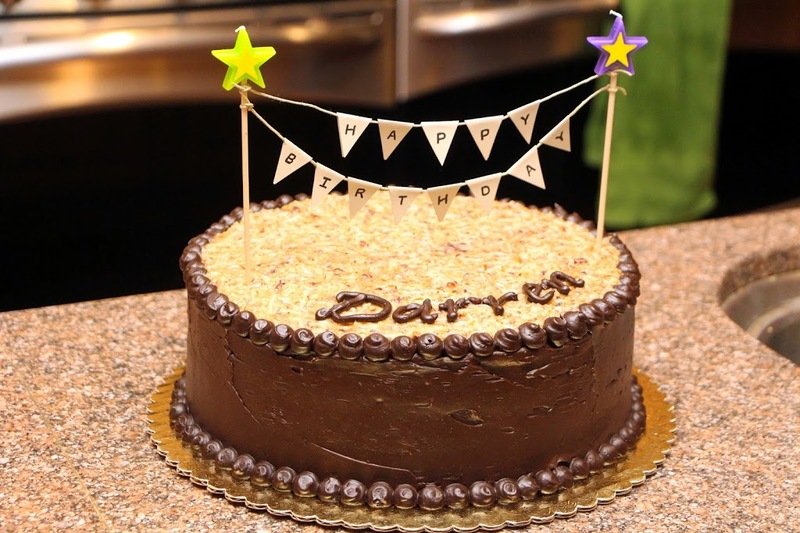 It’s hard to say how this cake stacked up to all German Chocolate cakes that came before, but the birthday boy and guests were happy, and that makes me happy! « Birthday | Turning 30 Is Just Peachy!